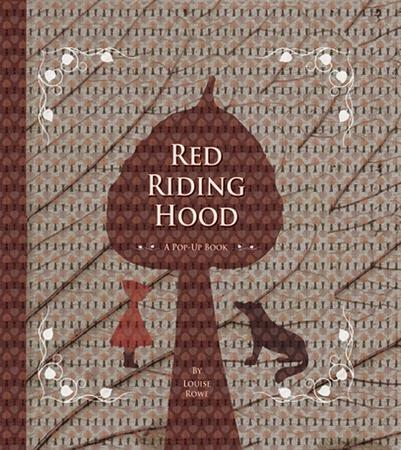 When you take a tale as old as Little Red Riding Hood (earliest versions date back to the 14th century in Europe) and re-release it, it has to be something special. The story of Little Red Riding Hood has been told by many authors over hundreds of years. The earliest printed version was written by Charles Perrault in the 17th century and was later retold by the Brothers Grimm in the 19th century. It is the Brothers Grimm version that forms the basis of the Little Red Riding Hood that we are most familiar with today. Interestingly, last year two quite different versions of this classic story were published. The first was Yummy by Lucy Cousins, a collection of classic fairytales headed by Little Red Riding Hood, all illustrated and written in Cousins’ signature sparse, bright style. The second publication could not be a greater contrast. 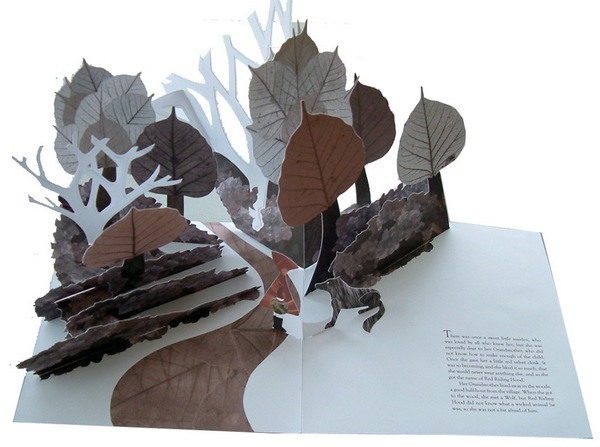 Louise Rowe’s pop-up Red Riding Hood is illustrated entirely in sepia tones with touches of rich, autumn red. Six double page layouts are used to tell the story and each is truly magnificent. The pages featuring the woods are exceptional. Apart from the many overlapping layers of trees, each individual tree is illustrated using the skeleton of a leaf – the effect is beautiful, intricate and dramatic. 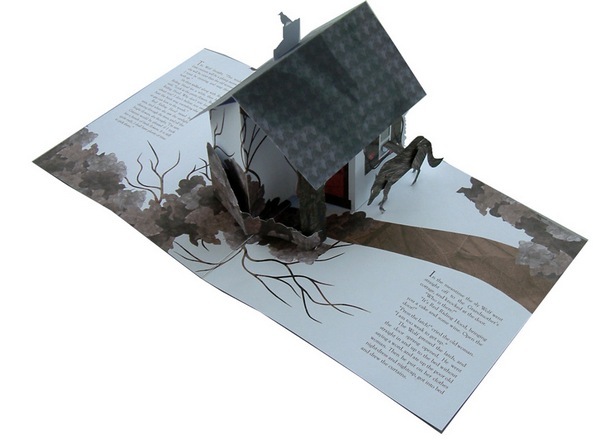 With each page, you get closer to the danger – the woods, grandmother’s house, grandmother’s bed and then the wolf. Little readers will have to have their wits about them as the big bad wolf literally jumps off the page, baring his huge fangs. 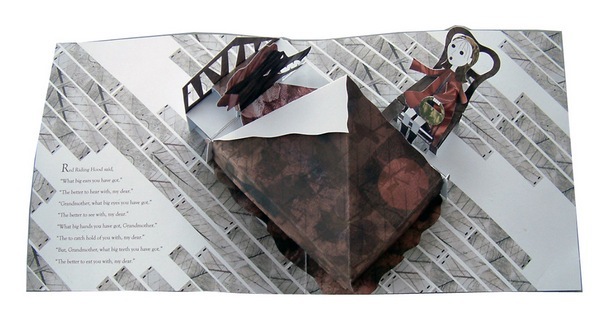 Children and adults will appreciate this beautiful book and if you are a fan of pop-up books, you simply must add it to your collection. It is available from Fishpond for $36.95.